Wormburner recently filmed a series of live-in-the-studio music videos at our Hoboken studio space. Click here to see the first in a series of four videos we’ll be releasing over the next few months. Our next show will be at Maxwell’s in Hoboken on Thursday April 30th. We have been invited to play alongside LA-based powerpop legend Tommy Keene. 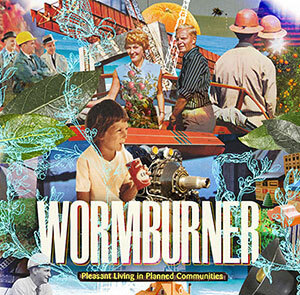 Wormburner has somehow been named Unsigned Band of the Week by High Times Magazine. Dude. Many thanks to everyone who braved the snowstorm and came out to catch us opening for Camper van Beethoven at the Bowery Ballroom. It was our biggest audience to-date, and it was a great honor sharing the stage with one of our all-time favorite bands. Wow. CBS Radio’s WNEW.COM has posted yet another live-in-the-studio performance from Wormburner, this time featuring an acoustic version of a new song called Breaker Breaker. Click here to listen. CBS Radio has taken a particular shine to our Christmas Single Bells of St. Ignatius. Last week the song was featured on “AM Nuggets” at WNEW.com. Then we were invited in for a live-in-the-studio acoustic performance and interview called “Spend Christmas with Wormburner”. For your own copy of our Christmas Single Bells of St. Ignatius, just click on this link to the iTunes Music Store. We’re getting radio airplay on 101.9 WRXP. Weekend jock Rich Russo has been spinning some cuts from our LP, and today he played our Christmas song Bells of St. Ignatius on the air. You know what that means, kids: Start flooding the station with calls requesting some Wormburner! Many heartfelt thanks to everyone who piled in to The Mercury Lounge on Friday nite. The show sold out, and it was a joy to play for such an enthusiastic and festive crowd. This Christmas show is sure to be an annual event. Our second annual New York City Christmas Show is confirmed for Friday December 12th at The Mercury Lounge. It’s a double-bill with The Knockout Drops, and Lifeguard Nights will kick off the festivities. Last year’s show culminated with surprise appearances by Gordon Gano of the Violent Femmes, along with members of Radio 4, The Bogmen and more. Advance tickets are on sale now. Here’s the Ticketmaster Link. We’re back in the studio working on new songs. Keep checking back for news about upcoming shows. 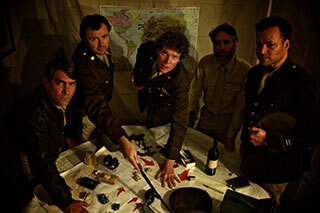 Or join our mailing list if you want to hear from us directly.